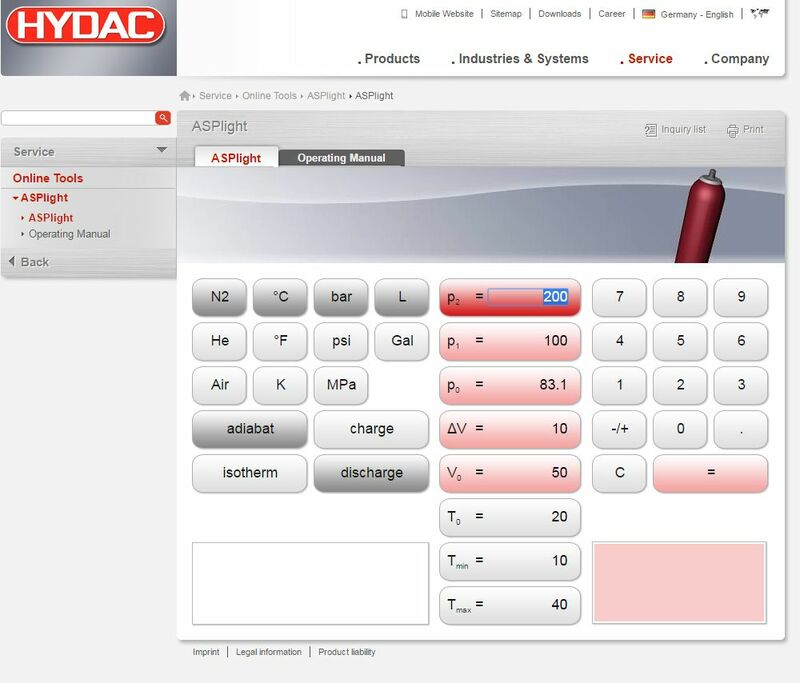 The HYDAC ASPlight is new and simplified software which allows you to calculate all the necessary parameters such as pressure, volume and temperature for the isothermal or adiabatic charging and discharging processes of an accumulator. Provides quick, straightforward calculations for hydraulic accumulators. Aimed at the user, it helps to determine the essential accumulator parameters within a short time. Designed to be comparable to a pocket calculator, the software is very simple to use, with a neutral language and a single window for operations. This is an intelligent application which takes into account real gas behaviour, calculating in different units of measurement for pressure, volume and temperature. It ensures you to select different gases such as nitrogen or helium. It has a “Help Program” section which explains its operation and includes three calculation examples. You can have access to the software via our website.